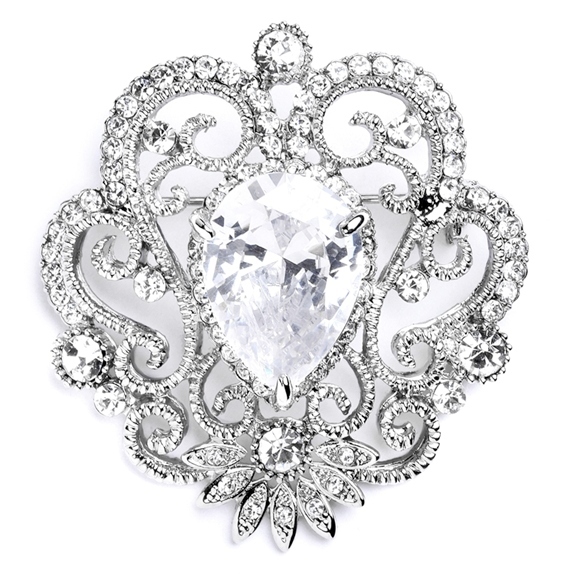 * With its mix of modern bling, vintage filigree style & fiery Cubic Zirconia, this 1 3/4" h x 1 1/2 fashion brooch is sure to turn heads during any wedding, homecoming, party or prom all at a fabulous low price! * Accent a sash, bridal gown, prom dress or mother of the bride gown with the brilliant sparkle of Mariell's wholesale vintage wedding pin. 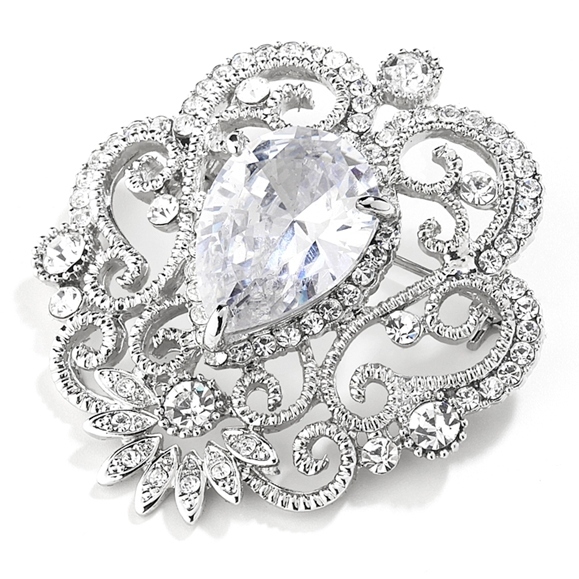 * Our silver plated brooch has a genuine Cubic Zirconia pear shaped stone that adds lustrous shimmer to bridal belts or evening suit jackets. * Many brooches are often worn today in place of flowers or belts supplied by the gown manufacturers in place of the flowers that are included with their dresses. * Make a fabulous fashion statement by embellishing wedding, bridesmaids, mother of the bride the gowns and prom dressiest have for bridal retailers and stockists!